PORTLAND, Ore. - March 20, 2019 - PRLog -- Sarah Centrella is not your traditional "self-help guru." In fact, it was her dissapointment after attending a motivational event in 2017, that inspired her inogeral Ladies Empowerment Dinner. "I just kept thinking, this can't be real." Centrella said of the male dominated conference. "There wasn't a single women on the speaking roster. And I was shocked at how little participants were offered and how much they paid for tickets. The event lasted all day, there was no food or water provided, or even available for purchase most of the day. There wasn't even enough seats for everyone who'd paid for them. But what was even more concerning was that everyone seemed to just except that it's; just the way it is. It was appalling." Centrella left that event determined to create a motivational experience for women, that featured women, provided empowering content but was also something they'd enjoy attending. "I wanted to create an environment where women wanted to attend each year and bring their friends. 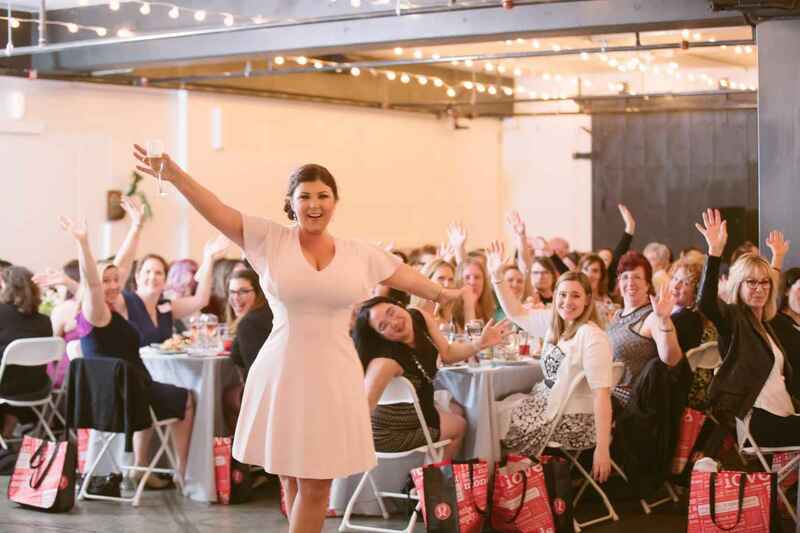 One that wasn't a stuffy male dominated seminar, but a fun, empowering night of connecting with other incredible women." Centrella said. "I want the women to learn from strong, empowered ladies who are living their dreams, so each year I include speakers who inspire me. This year our keynote speaker is best-selling author and top podcaster Lori Harder. I also want everyone who attends to feel a little pampered, so the food is always delicious, the drinks are always amazing and the swag is pretty nice too!" Sarah Centrella is the #1 best-selling author of the book Hustle Believe Receive which will be re-released in paperback in July 2019. Her latest book #FutureBoards How to Create a Vision Board to Get Exactly the Life You Want, published by Simon & Shuster will be released July 2019. Centrella is a master life coach who's worked with NFL and NBA players and their wives since 2012. She is a sought after keynote speaker and manifesting expert.